We recently held our annual Dinner Dance at the Shanty Banquet Hall. We were near seating capacity and everyone had a great time. The speeches were touching, huge applause for the students who won scholarships, and great dancing. WE are in the process of gathering photos to share with you. We will ahve a dedicated page just for this event. We held our annual Smoker Raffle Diner on April 26 at the St. Demetrios Church Hall. 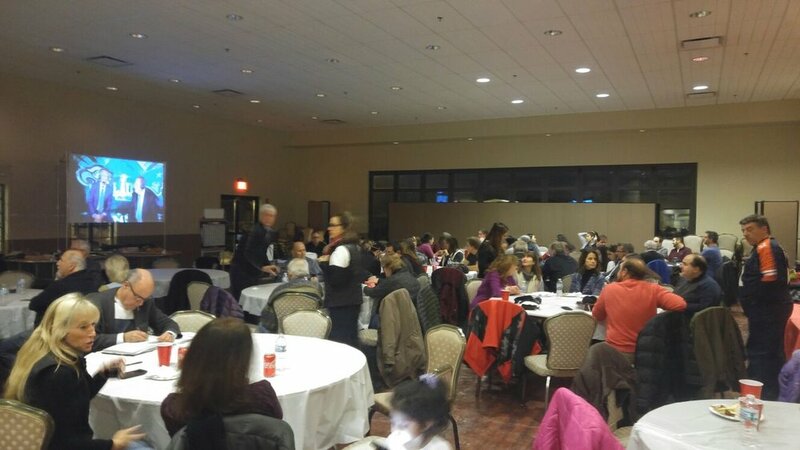 We had a great turnout with so many who attended the dinner. It was an exciting evening with a lot of heart break as we narrowed it down to the final winners. WE look forward to next year and seeing you as well. We sponsored the St. Demetrios Church in Libertyville in the recently held National Hellenic Invitational Basketball Tournament (NHIBT). Little Fort hosted a Superbowl viewing party. 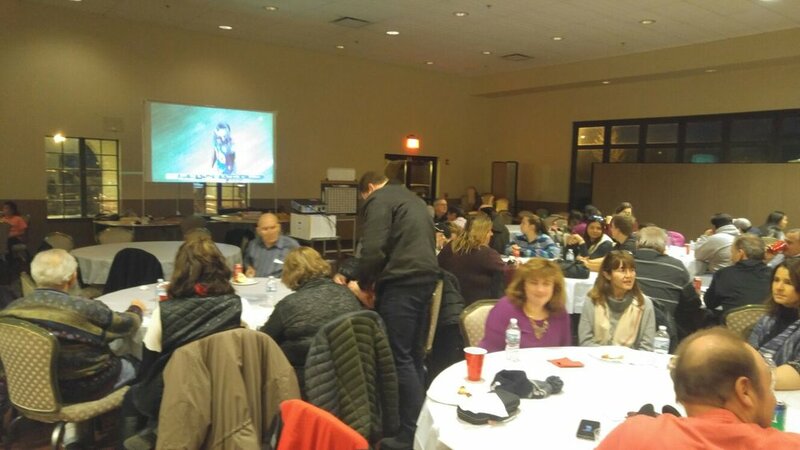 We had a great turnout and everyone was in great company, food kept coming, and the game was down to the last seconds. It was a great evening to be had by all!! Little Fort entered November with our monthly bowling event. We had a solid turnout of members and would like to thank our guests for joining us for the event. We look forward to seeing you in December!! Little Fort hosted a commemoration presentation at St. Demetrios Church (Libertyville) during coffee hour after services on Sunday October 22nd. It is important that this decisive and important event in modern Greek history should be shared with all. Little Fort has started our bowling outings once more. October was our first gathering and we will continue to have them on the first Tuesday of the month. We would like to thank our guests for joining us on our October event. We were caught in the moment of excitement of the many persons who played the dunk tank that we neglected to take pictures. Below are the few we do have to share with you, we do apologize. If you were present and took pictures and wish to share them here, you may reach us on our "contact us" page.